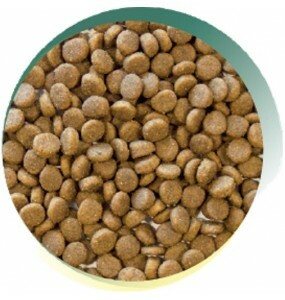 Happy Pets Grain Free Dry Cat Food is a UK made range of healthy, natural cat food. All 3 recipes contain a selection of completely natural ingredients, that have been found to supply everything your cat needs. They all consist of 50% meat, with a minimum of 26% freshly prepared meat included. Even though a cat's main energy source is meat protein, they also need a carbohydrate source, and we have selected sweet potato, supplemented with added Omega 3 oils and no artificial preservatives or colours. If you haven't tried us before, you will find the Happy Pets range the equal of any of the well known top rated dry cat food brands! Freshly prepared chicken is a highly digestible protein source rich in amino acids. This recipe has ..
Freshly prepared salmon is a delicious source of protein, rich is amino acids, vitamins & miner..
Freshly prepared turkey is a natural, traditionally sourced and highly digestible protein source. 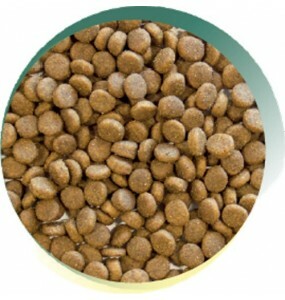 T..
Why Grain Free Cat Food in the UK? It boils down to the fact that some of our furry friends find common cereals such as barley, rice and wheat, as found in conventional cat food, quite difficult to digest. For some cats the result is digestive problems or even allergies. Happy Pets' range of grain-free cat foods is a healthy hypoallergenic alternative for pet cats who seem to be suffering the consequences of sensitive digestive systems. Our online shop has a selection of grain-free dry cat foods, that is wide enough to find a recipe that suits even the most sensitive cat's digestive dilemnas. 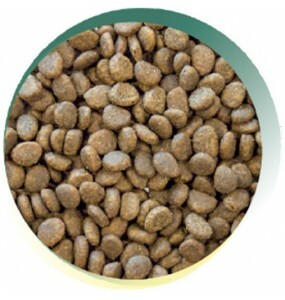 We should also point out that not every cat needs a grain free diet, but if you suspect, digestive issues or allergies, then grain free foods for your feline are a simple and still very nutritious way to identify or eliminate common food based irritants, before resorting to the expense of the vet. For cats with a grain allergy that has been diagnosed by a vet, the Happy Pets range is ideal. If you observe some of these signs persistently, changing the cat's feed to one of the best dry cat food brands, like Happy Pets Grain Free, is one of the simplest ways to track down allergies and intolerances. If the signs and symptoms persist after 1 or 2 dietary changes, then take your cat to the vet for a proper diagnosis rather than letting them suffer any longer. 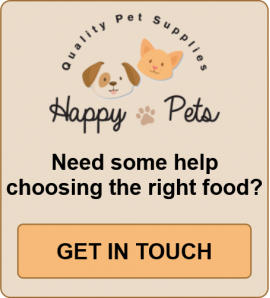 It's easy to order Happy Pets Grain Free Dry Cat Food online or call us at our Dumfries shop for more information or for any special requirements.